Dave and I have often considered settling down in Mexico. Each time we visit, we love it! We haven't seen enough of the country to decide where is best, so when Nathan of The TRVL Blog suggested writing about his 10 favourite places in Mexico, we were excited to read it. After reading through these amazing destinations, we're ready to hop in our car and start exploring this winter! We've only been to two places on Nathan's list and look forward to exploring them all. After a day lounging on a pristine beach, you'll then find yourself tucking into fresh ceviche from a modest food stand on the side of the street. Another day you'll be wandering around narrow streets of a city discovering colonial churches amongst the brightly painted buildings. The possibilities in Mexico are endless. After all, Mexico is a country made up of 758,000 square miles and 31 states. You'd expect there's a bit of variety here, right? Variety is Mexico's middle name, well, not quite. You get where I'm coming from though. Picturesque beaches are found north, south, east and west of Mexico. What's that I hear you say, you want more than beautiful beaches? Don't worry, the architecture in Mexico's colonial towns and cities will have you occupied for days. Also, there's the food, how could I go this long without mentioning Mexican cuisine. The variety of local dishes across the country will have you tucking into something new each meal. Forget about the tacky Tex-Mex restaurants in Cancun and Playa del Carmen, get some traditional Mexican food down you. That brings me to my next point, the Yucatan Peninsula. 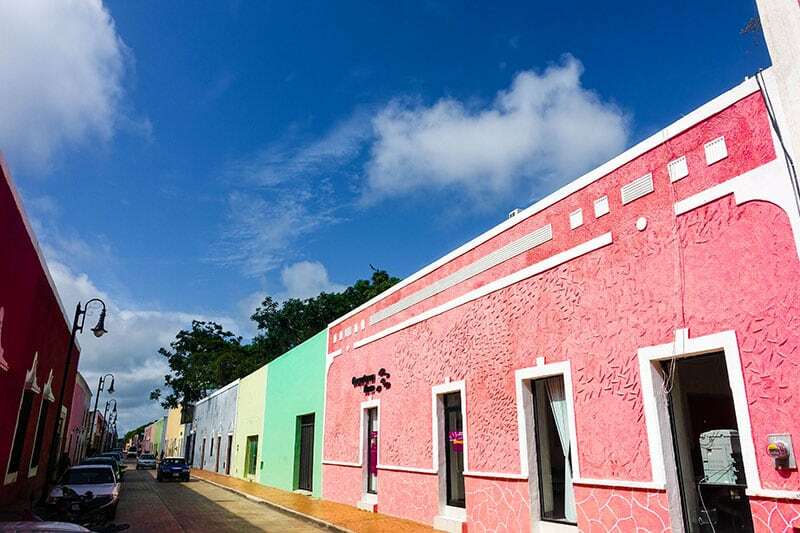 Yes, the Yucatan is home to some stunning and hard-to-beat destinations. However, it would be a huge mistake to concentrate on this one area of Mexico. Too often people overlook the rest of Mexico in favor of the touristy destinations on the Yucatan Peninsula. Don't get me wrong, there are parts of the Yucatan which aren't so touristy and I would recommend. 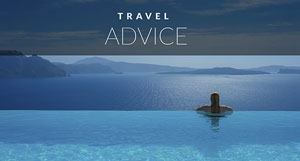 To put it bluntly, forget about the overcrowded and inauthentic destinations like Cancun and Playa del Carmen. Mexico is diverse and on my list of 10 must-visit places in Mexico I've tried to include a variety of destinations to suit all tastes. 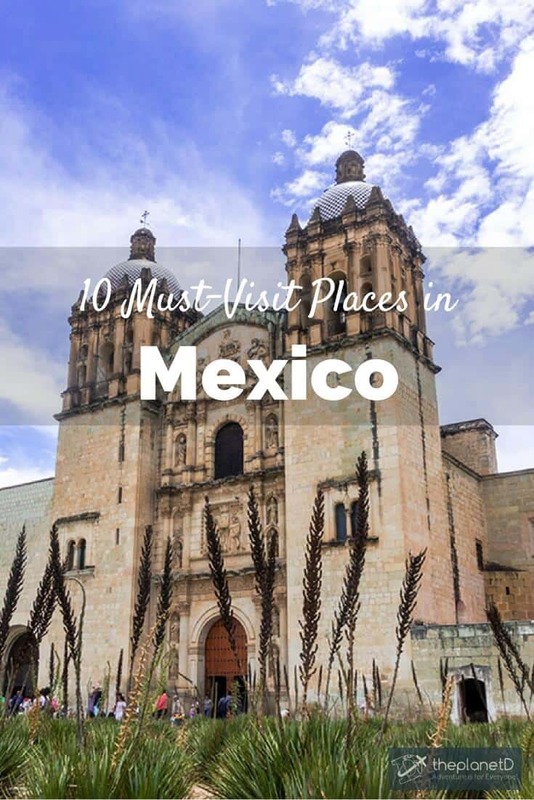 In no particular order, here are my 10 must-visit places in Mexico. If you adore food, especially seafood, you will love Ensenada. 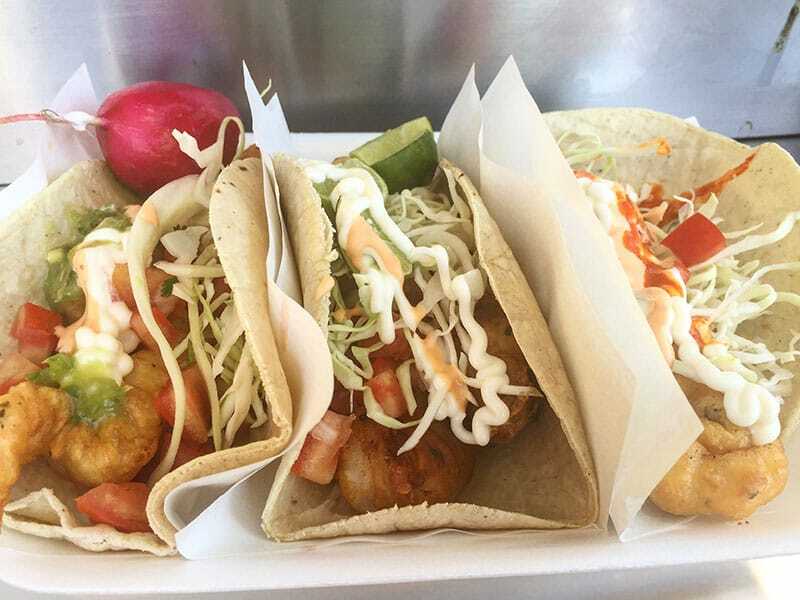 Every corner in Ensenada is home to no-frills food stands serving up simple-yet-delicious deep fried prawn or fish tacos. A soft flour taco, topped with deep fried prawns, shredded crunchy lettuce, zesty lime juice, a squirt of sour cream and fiery chili sauce. What more could you ask for? It doesn't stop there, Ensenada is home to an award winning ceviche stand. La Guerrerense is the award winning stand in question. The awards are well deserved. There's not a day that's passed where I haven't thought about that mixed ceviche taco I devoured from La Guerrerense. The Baja Californian capital is a quaint city with creative street art and strong coffee. Having said that, what truly cements La Paz's place on this list is Balandra Beach. Think white sands and crystal clear waters hidden away within a bay. Within the bay the water doesn't rise above your legs, making it possible to walk all the way to a deserted castaway style beach on the opposite side. Development is forbidden around the area of Balandra Beach, so there are no ugly resorts lining the beach. In fact, there are no buildings for miles. Sounds perfect, doesn't it? 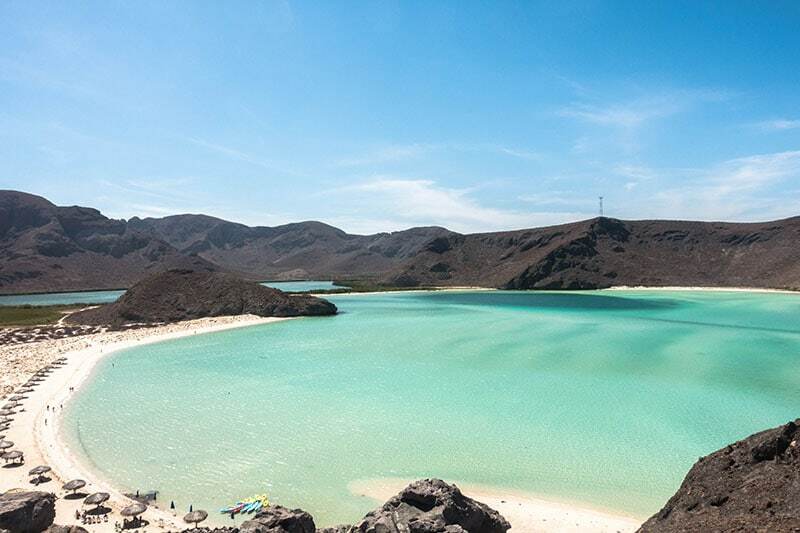 Not only is Balandra Beach the best beach in Mexico, it's one of the best beaches in the world. 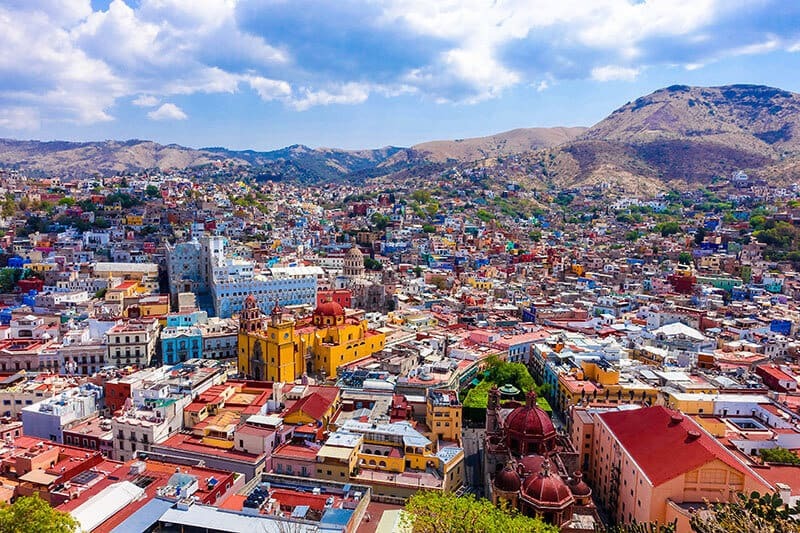 The first word that springs to mind when I think of Guanajuato is colorful. If there's one thing they do well in Guanajuato, it's sprucing up their buildings with bright colors. All those colors make for a stunning city. My tip for getting that Instagram worthy picture is to head to the view point. After obscene amounts of tacos and beer, the walk up the stairs to the viewpoint can be exhausting. You'll soon forget about the tiresome walk when you get the full view of the multi colored Guanajuato City and the surrounding mountains. What can I say about the Mexican capital? 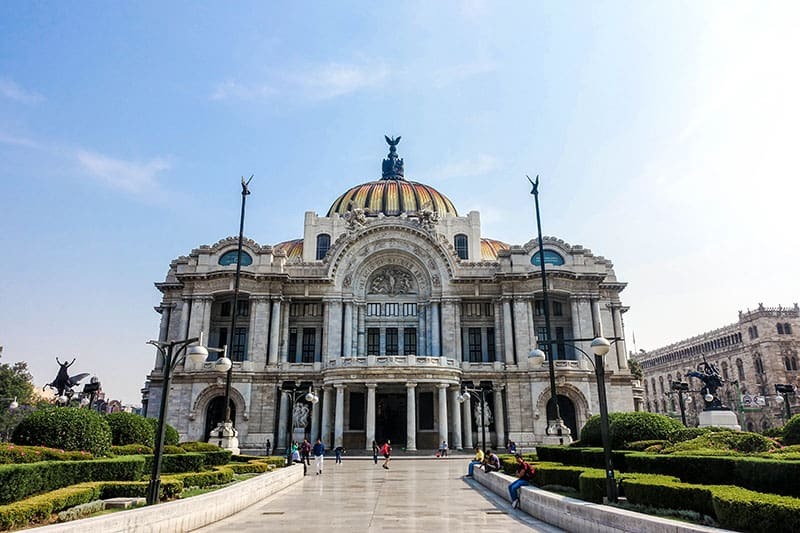 It's impossible to pinpoint one sole aspect of Mexico City, as to why it deserves its name on this list. 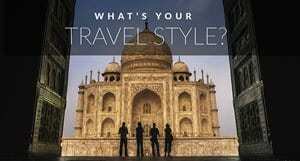 Is it the food, architecture, museums, galleries, bars, shopping? The list could go on and on, but you get the drift. Mexico City has it all. It will smash all your expectations out of the park. You'll spend your days stuffing your face with flavorsome tortas, exploring the incredible architecture across the historical center, wandering around the gigantic Museum of Anthropology, grabbing some Mexican cuisine with a modern twist from Mercado Roma and your nights drinking mezcal and tequila in one of the dive bars around the city. If you're a foodie, you'll be right at home in Oaxaca City. Around every corner in this city, you will find local Oaxacan delights to stuff your face with. If you've never tasted Oaxacan cheese, now is your chance. Mole is also the thing to try here. Mole comes in many different flavors, so prepare for a serving of hot chicken smothered in a flavorsome thick sauce. As with many Mexican cities, the colonial architecture will keep you occupied for hours upon hours. 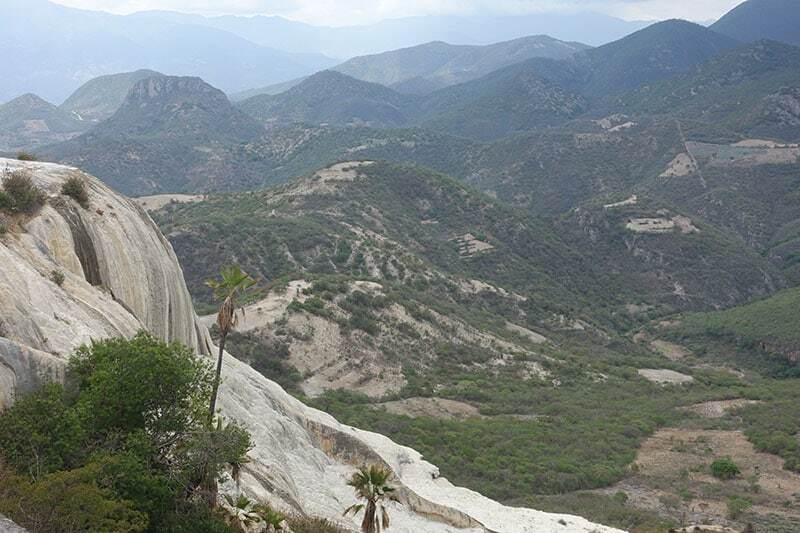 When you've finished eating your way through and exploring Oaxaca City, take a day trip to Hierve el Agua. Roughly translating to ‘the water boils' Hierve el Agua is the site of natural springs, where solidified minerals cascade down the cliff's edge to look like waterfalls. Pretty impressive if you ask me. On the Pacific coast of Mexico lies the small fishing village of San Augustinillo. 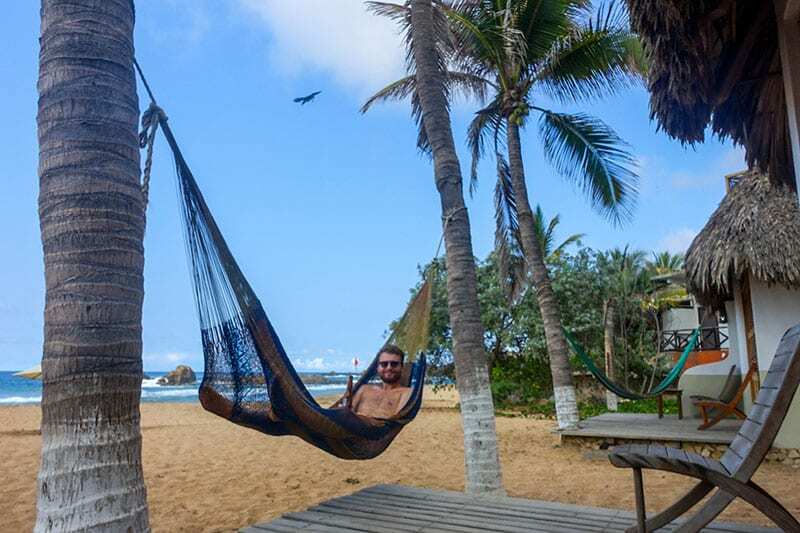 The neighboring towns Mazunte and Zipolite often get the acclaim for this area of the Oaxacan coast, but I'd recommend making a beeline straight to San Augustinillo and forget about the more popular and built-up neighboring towns. There are minimal hotels, cabanas and restaurants lining the beach in San Augustinillo, so there are no crowds of tourists here. The chances are you'll have a large area of the beach to yourself. If your thing is relaxing on the beach or catching some waves with the surf or body board, the charming village of San Augustinillo is the place for you. 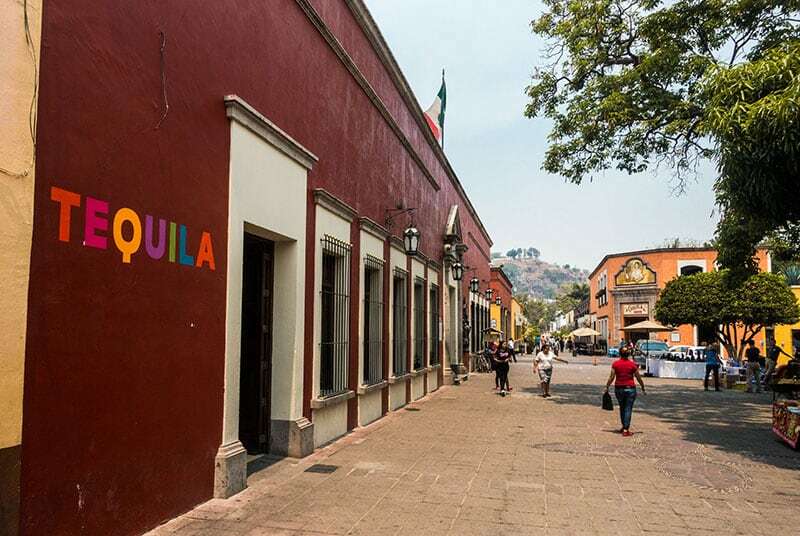 Could any trip to Mexico be complete without visiting the home of tequila, Tequila? OK, this could get a bit confusing. Tequila the drink is named after the town Tequila, where the drink tequila is produced. Too much tequila? Get used to it, the one and only theme of your day in Tequila will be drinking lots of tequila. There are distilleries spread across this town, so head for one and learn how the humble agave plant transforms into one of the worlds most popular drinks and of course, sample their own style of tequila. One place where you cannot miss while you're in the town of Tequila is La Capilla, named in the top 100 bars in the world. I've seen some stunning lakes in my time, but the bright blue waters of Bacalar Laguna knock every one of them out of the park. Bacalar is one laid-back place, so it's nice to kick back and relax for a couple of days. Don't spend all your time chilling out and relaxing by the tranquil Laguna though, there are 16 square miles of lake to explore. Rent a kayak and explore the lake yourself. The water is nice and calm, ensuring the perfect conditions for kayaking. 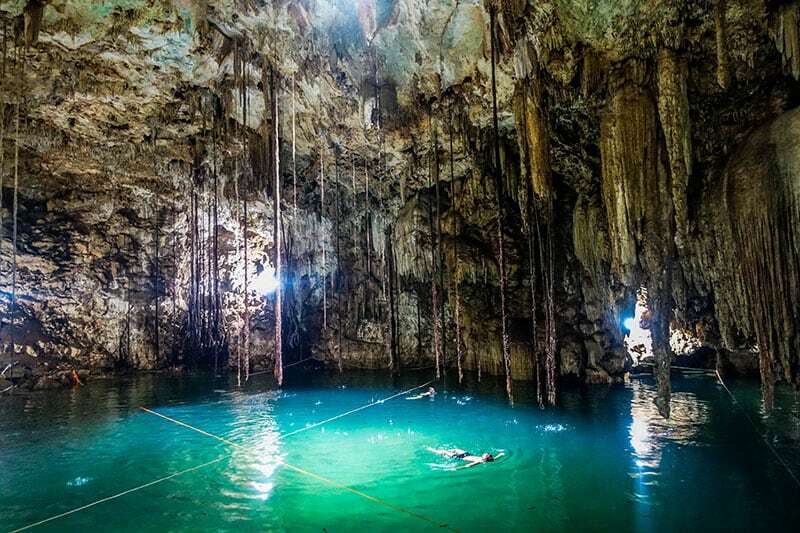 Also, take a speed boat tour and spend the morning exploring the cenotes around the lake. There are a few places on the Yucatan Peninsula which I couldn't possibly leave off this list. The town of Valladolid is beautiful. There's a central plaza overlooked by a stunning cathedral with plenty of bars and restaurants housed in pastel colored buildings, serving up local specialties. Having said that, the main reason Valladolid makes this list is down to the cenotes which you'll discover around the outskirts. Rent a bike and cycle to Cenote X'Keken and Samula. Take a dip in the refreshing waters of the limestone cave cenotes and marvel at the endless stalactites hanging down above you. 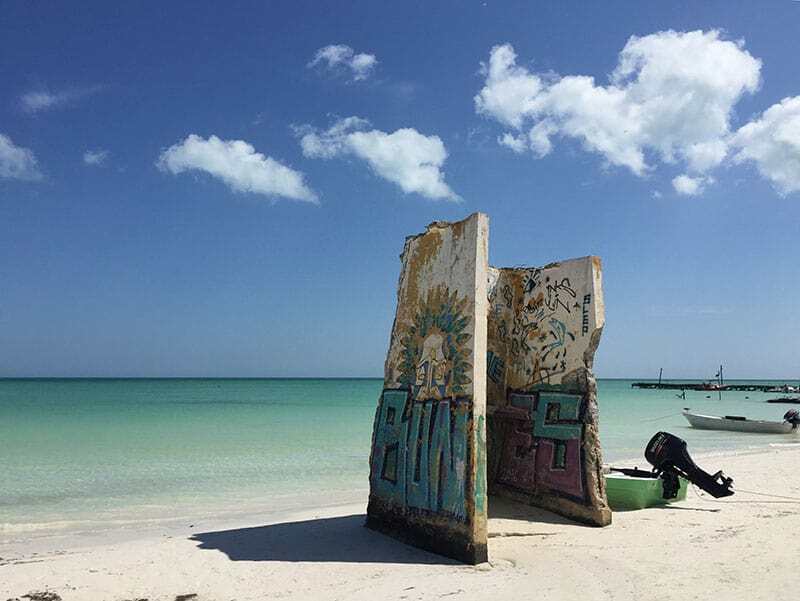 If you haven't heard of Isla Holbox yet, where have you been? The popularity of this Mexican island has rocketed in the last few years and it's easy to see why. People are flocking from all corners of the globe to Isla Holbox. At the moment, the island isn't as developed as the likes of Isla Mujeres. However, who knows in the future. The main draw of Isla Holbox is the opportunity to get up close and personal with whale sharks from June-September. As well as swimming with whale sharks visit the ecological reserve Yum Balam, kayak in the mangroves, go flamingo spotting, grab yourself a beer at a beach bar or spend the day floating around in the crystal-clear waters. 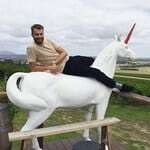 About the author: Nathan is a budget traveler on a mission. 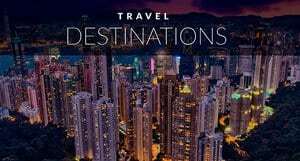 That mission is to show you that you don't have to have tons of cash to travel to new and exciting places around the world. He does this through The TRVL Blog. The TRVL Blog covers an ever-growing list of destinations across Asia, Australia, North and Central America. You can also follow him on Facebook, Twitter, Instagram and Pinterest. 11 Responses to "10 Must-Visit Places in Mexico"
My husband and I have vacationed in Mexico numerous times with the help of our travel service elite1500. We absolutely loved Holbox and are hoping it doesn’t get developed too fast!! And yes, swam with the whale sharks and it’s an incredible experience. Still haven’t made it to Mexico City but it’s definitely on the bucket list. Thanks for your sharing, I plan to go to Mexico next year. Thank you for sharing information. I visited Holbox through “Oscar Cancun Shuttle”, but due to time short, I was unable to visit other popular places.I wish plan and visite again. Very nice when you got travel to Mexico ! 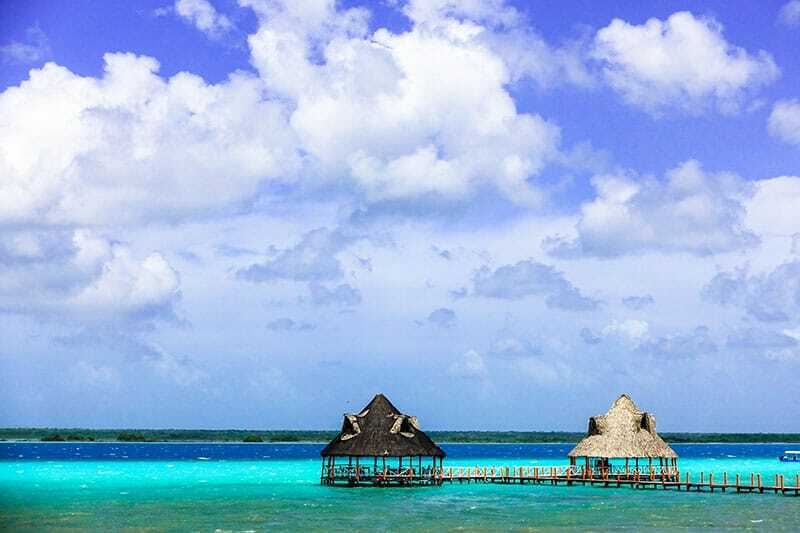 Bacalar blue lake is awesome to see…! Hoping to visit soon. Thank you for such a beautiful article. Praying for Mexican people after earthquake. We will be visiting Holbox for the first time in February. I’m looking forward to it! 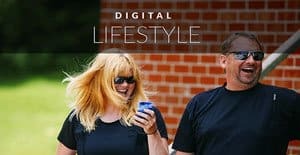 Love this article. Read lots of blogs about Mexico as I contemplate where to go and what to do..and this one has came up with new and interesting ones that truly inspire me. Thank you.